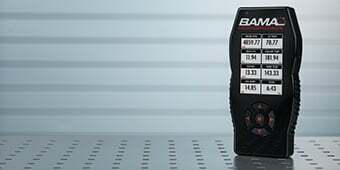 Hey guys, I'm Justin with AmericanMuscle.com, and this is my detailed look at the Ford Racing Brembo 6-Piston Brake Upgrade available for your 2005 to 2014 Mustang GT, Bullitt Boss 302 or GT500. So this kid from Ford Racing and Brembo should appeal to a few different types of owners. Now first and foremost, it's definitely gonna be for the S-197 owners out there who track their car frequently and want a big upgrade in stopping power over your factory setup. 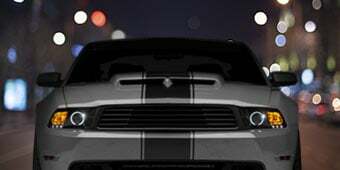 This statement is definitely geared toward the base GT owners, older Bullitt owners, things like that, as opposed to the Boss 302 or newer GT500 owners. But nevertheless, if you're looking for a solid all inclusive upgrade, this is definitely gonna be the ticket. That being said, S-197 owners who might not track their car at all, but still want that range of stopping power upgrade, this is also going to be a great option for you, especially if you're looking for something that is going to be completely baller behind your favorite set of wheels. Function over form is always a good thing, but in this case the form just happens to match the function. Again guys, this kit does include both brake setups for your front and rear here, and by the way, this is the same exact kit used on the '13 and '14 Shelby GT500s. Now let's first start with the front setup because this is obviously the centerpiece of this kit. Starting with these gigantic 6-piston Brembos here, powder coated black and finished off with that Brembo logo. Now these guys are gonna ride on top of these massive 15 inch, one piece vented rotors here, a ton more surface area which is gonna equate to better stopping power and better heat dissipation. Now if you guys didn't know, 75% of your car's braking duties are handled by your front brakes alone. So when you make this big of an upgrade, the difference should be immediately noticeable as a lot of our customers have pointed out on the site. Now if you do track your car regularly, this is gonna basically equal a big improvement in brake fade and a more consistent pedal lap after lap. In addition to that front setup, you are also receiving a solid upgrade for the rear of the car in the form of the 13.8 inch vented rotors here along with these single piston calipers. Now again guys, the front setup is handling most of the heavy lifting here so while the rear setup might look a little wimpy compared to these burly fronts, you have to keep in mind that this setup was enough to haul the '13 and '14 Shelbys from 60 to zero in roughly 101 feet. Now that's super car territory, guys, and while yes, you can probably argue some of that is due to the tires on that car, the kit I have on this table here with me definitely played a major role. So that covers pretty much the main components of the kit here, but as you can see, it does feature a lot of other stuff as this is an all inclusive kit. Your brand new front pads here are already pre-loaded in the 6-piston Brembos, rear pads are gonna be right here. You're looking at brand new axle flanges, dust shields, all new hardware, all grade A stuff, and then finally brand new front brake lines. Now if I did have one small nitpick with this entire kit, is that I would have liked to have seen stainless steel lines here for the front as this is a performance kit after all. But nevertheless, that's an easy and cheap upgrade if you wish to make it on your own. On the topic of price, guys, I think you're gonna find this kit offers a lot of bang for your buck, and the comments in the customer review section tend to back that up. Now when you are shopping other options on the site, whether it be from Roush, Wilwood Bear, whatever, those options are going to be far more expensive than this kit. And a lot of those options only take care of the front brakes. Now the options that are on the same page as this kit price-wise are only gonna offer a 4-piston brake as opposed to the 6-pistons with the Brembos here. So again to reiterate, to get a full kit here, all inclusive, for a name like Brembo and have a 6-piston caliper out front for south of 2Gs, mind you, really is quite a bargain. Installation here, guys, I'll be honest, not for the first time wrenchers out there because you will need to bleed the brakes properly in addition to mounting the kit to your S-197. So for that reason, I'll call it a two out of three wrench job on my difficulty meter. Not willing to go a full three out of three wrench job because, honestly, doing brakes isn't rocket science, but they are kind of important so you will need to know how to do them properly. Grab a buddy if you've never done them. Either way, figure a few hours in the garage from start to finish, a decent socket set, a decent wrench set, in addition to your bleeding tools, and don't forget your fresh brake fluid to complete the job. 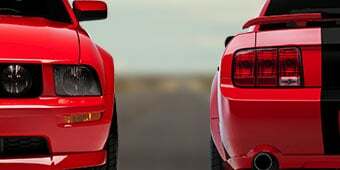 So a lot of times us Mustang owners are guilty of worrying about going faster without giving any consideration to the second part of that equation, stopping. If you're looking for a very solid brake upgrade kit for your S-197 for a price, it's gonna be very hard to beat given your options. 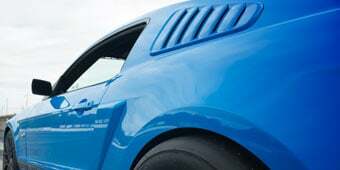 You'll want to check out the Ford Racing by Brembo Brake Upgrade here at AmericanMuscle.com. Maximum Stopping Power. 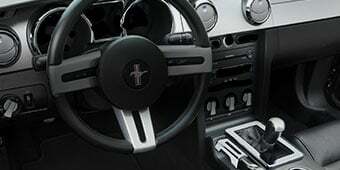 Stop on a dime and leave nine cent change by upgrading your Pony's brakes to the same exact ones that were used as original equipment on the 2013 Shelby GT500. This Ford Racing GT500 brake kit includes massive 6-piston front calipers from the worldwide leader in braking systems Brembo, so you can have the confidence you need to dive into the most challenging corners and still bring it to a controlled stop every time. Complete Kit. This bolt-on GT500 brake upgrade kit includes a pair of 6-piston black Brembo front calipers, a pair of single-piston black GT500 rear calipers, two 15" Brembo vented front rotors, two 13.8" Brembo vented rear rotors, front and rear brake pads, production DOT-approved brake lines, front tie-rod heat shields, rear axle caliper brackets and the required installation hardware. Application. This Ford Racing brake upgrade kit is designed for use with ABS-equipped 2005 to 2014 V8 Mustangs only, including the GT, Bullitt, BOSS, and Shelby GT500. Requires the use of 19" or larger rims for proper clearance. Technical Notes. This brake kit will require the use of Ford Racing wheels M-1007-SA199, M-1007-DC199LGB, M-1007-SA1995MB or wheel kits M-1007KIT-DC19910LGB, M-1007KIT-DC199B, M-1007KIT-DC199CH, M-1007KIT-DC199LGB, M-1007KIT-SA199, M-1007KIT-SA19910 or equivalent for correct caliper clearance, all other styles should be test fit to ensure proper fitment. Which fluids will I need to purchase when changing into these new brakes? When installing the Ford Performance Brembo 6-Piston Brake Upgrade Kit it is a good idea to change the brake fluid with fresh DOT3 Brake fluid, though DOT4 or synthetic DOT3 can be substituted depending on your needs. Racing applications where high heat is expected, DOT4 is more ideal due to its higher boiling point. will this fit a v6 2013 ? This Ford Racing brake upgrade kit is designed for use with ABS-equipped 2005 to 2014 V8 Mustangs only. will the front brembo brakes fit a 14 gt OEM 18 inch 5 apoke alloy rim? The Ford Performance Brembo 6-Piston Brake Upgrade Kit requires the use of 19" or larger rims for proper clearance. The Ford Performance Brembo 6-Piston Brake Upgrade Kit - 15 in. Rotor will not clear most OEM 18" Wheels, including the stock GT 18's. The Ford Performance Brembo 6-Piston Brake Upgrade Kit will fit with your Forgestar F14 Monoblock Wheels. So I have been debating whether or not to purchase this kit due to the rotors that come with it. Later down the line when it is necessary to replace them, are the standard rotors my only option? Also if there are more rotors that will fit, do you carry them/recommendations? Yes, this brake kit will work with the GT500 wheels we have on our site. This kit would need different wheels to clear, the stock 19" wheels wouldnot have the require backspacing and offset to ensure proper clearance. 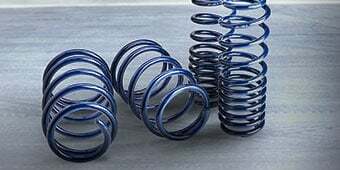 You would need either these part numbers by Ford: M-1007-SA199, M-1007-DC199LGB, M-1007-SA1995MB or wheel kits M-1007KIT-DC19910LGB, M-1007KIT-DC199B, M-1007KIT-DC199CH, M-1007KIT-DC199LGB, M-1007KIT-SA199, M-1007KIT-SA19910 or a wheel with at least a 40mm offset and a 6.6" backspacing to ensure the wheel will clear the new brake kit. Unfortunately, this kit will not clear the inside of the OEM California Special wheels. At this time, the Ford Performance Brembo 6-Piston Brake Upgrade Kit is only offered with black calipers. 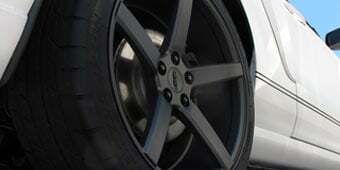 The Ford Performance Brembo 6-Piston Brake Upgrade Kit will not clear inside of the stock 2011 Mustang 19" Wheels. While we know the Ford Performance Brembo 6-Piston Brake Upgrade Kit will fit a 2012 GT, we have not attempted putting the 15+ 6 piston Brembos on. We do not believe this would work, as the spindle will be different between the 2 models, causing brake alignment and clearance issues. We have not tested the Ford Performance Brembo 6-Piston Brake Upgrade Kit with the OEM Roush 20" wheels, however it appears from the info provided by Roush these clear all OEM brake offerings, which will include the GT500 Brembo Brakes, which these are identical to. We recommend verifying with Roush that these will clear the brakes, but believe they should. After months of research and against the advice of everyone (including AM), I installed this upgrade on my V6 without problems or modifications. I couldn't find any reason why not given that the braking system on the S197 is exactly the same across except for the models without ABS. I have the pony package which carries over most GT features except the engine so I can't tell about the basic V6. I do can vouch that if you have a Pony Package with ABS you can install this kit. AM is loosing big on all those V6 customers by not researching this further. Installed alone in my garage along other upgrades. Its not necessary but I took the differential out to work better and not having to mess with differential oil. Highly recommended. I installed the Ford Brembo racing brake kit in one afternoon. What a difference it made in stopping. With the nitro oversized tires, the mustang stops on a dime. Great look and stopping power but, these brakes put off a large amount of brake dust. Still a quality product in my book. Great performance, lots of brake dust. Need to replace pads. the 6 pistons up front are fantastic! They handled great on the track and provided a much better feel and stopping distance compared to stock. The rears brakes are still the single piston and nearly identical to stock. Would have been nice to have better upgrade for those too but given the massive price different between this and other big brake upgrades its worth it. You do need to pull the rear axles to install rear brakes, but this gives you a perfect chance to upgrade your rear gear or change the fluid. you do need get a new gasket for that as well. The Brembo 6-Piston upgrade kit is great. Everything fit well and the price is very fair. I purchased them for the occasional road course outing. I just came back from one and they worked flawlessly. I highly recommend them. 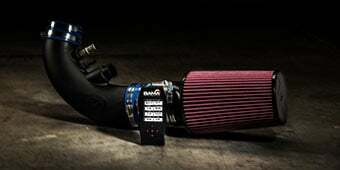 For starters this is an awesome and much needed upgrade if your going to boost your car. Nice to go fast but better if you can stop fast too! Overal take on the install was a pretty easy install until you get to the rears. Which you have to remove the rear axles in order to change the rear brake caliper brackets. Oh and don't forget the part of removing the rearend cover to access the c clip that has to come out to take the axles out. Just do your homework and you'll be fine. The kit is as advertised and works well. Since the kit does not come with stainless lines, I sourced them from Sifflers. Since you have to pull the rear axles I upgraded the fluid to Royal Purple and do not forget the friction modifier. Also installed the Ford Racing rear end cover. This is also the best time to change the brake fluid. After much research I used the MOTUL 600 RBF. Everything is available from AM except the brake lines and brake fluid. 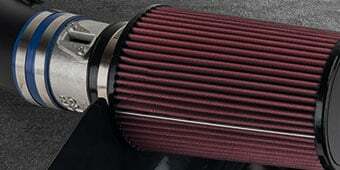 I bought these for my fbo 2014 5.0 and the change is just amazing. Wow! The stopping power on these bad boys is extreme. They rotors are somewhat heavy but I didn't expect them to be light since they're a high perfomance track brake system. They didn't slow me down bcs the weight differnce is just not significant. My cousin installed them for me in 35-40 minutes. Easy work because instructions weren't even needed; they're brakes. I am truly happy with my purchase. Great Brakes.....Disks Rust after first wash.
Great kit for the money; GREAT STOPPING POWER! Beware the rear brakes install! Outstanding stopping performance over stock. No fade on the track with consistent performance! Best brake bang for the buck. Now lets get to the cautions. First, know your wheels, although my wheels cleared the brakes, the position and length of the valve stem mattered. I had to have shorter valve stems installed to clear the calipers (they are massive). Second, and this is the biggest one, the rear brake install requires you to REMOVE THE AXLES. This means you have to drain the diff, remove the panhard bar, and pull the C-Clips just to install the rear brakes! Although that sounds complicated, and it is, you need to make sure you have oil to refill the diff and you absolutely must pay attention to detail when you put it all back together. The rear brakes are simply adding a larger rotor, basically the same caliper just painted black. Although they due less of the work, having the large 15" rotors up front and the small factory rotors in the rear just looks awful in my opinion. If you can live with the look, then fronts are enough. I would have gone with the Wilwoods for the front only but they are and have been out of stock for a while. Would have been nice if they provided a SS brake line like they do with the 4 piston caliper set up, but with this much rotor and brake, probably not gonna make much difference. Fantastic kit at an unbeatable price!! Great kit at an amazing price! The front install was pretty straight forward. The rear was a little extra work but wasn't too bad. It comes with very detailed instructions. The only down side is they only offer it in black...but it wasn't hard to paint them using caliper paint. I would recommend this kit to anyone looking for a good brake upgrade without breaking the bank. Huge rotors provide a huge contact pad over stock 05 brakes. Massive stopping power with this kit, only issue I'm having currently is the right rear caliper is dragging and heating up 50 degrees more than the left with regular driving. I would've liked to see painted vanes and centers on the rear rotors to match front but a small complaint. Lots of pro to this kit especially being a complete upgrade for the cost of a lot of the competitions front kit. Huge Brakes that work Great! This kit was very easy to install with one small exception. You do have to pull the rear axles. Amazing stopping power and great looks. I would recommend this if you want either of those. When I upgraded to 20" Rohana wheels, the stock GT brakes looked puny behind such a big wheel. I was initially planning to upgrade my rotors and pads, when I came across the M-2300-T kit. I couldn't believe you were getting a 6-piston Brembo front caliper, 15" front rotor, 13.8" rear rotor and GT 500 rear calipers for under $2000. I ended up having my local garage install the kit since I don't quite have the tools to pull the axles out in the driveway of my apartment. All I can say is this brake kit is beast! In my opinion, it still maintains the stock brake feel, but the stopping power is pretty significant. I plan to do track days here soon, so I'm glad I upgraded my brakes to the M-2300-T. The only complaints I have with the kit, I wish it came with stainless steel braided front brake lines, and the brake dust from the front brake pads are pretty significant over stock. When it comes time to replace the pas, I'll elect to go with a ceramic based pad. Other than that, this kit is a steal and well worth the money. A word of advise, before buying this kit, make sure you know the clearance and backspacing of your wheels to make sure the front Brembo calipers clears. I have a 20"X 9" Rohana front wheel with 32mm offset, and with 5-3/4" backspace. My wheel clears this Brembo caliper by about 5-8 mm. If you know this information before hand, you can purchase the required wheel spacer if you need it before you begin to install the kit. BEST BRAKES FOR YOUR BUCK! This is the best kit for the money around! The kit comes with every nut and bolt you will need. 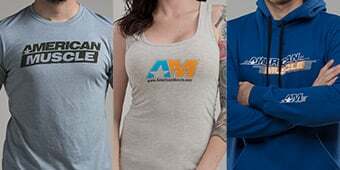 Only thing you have to purchase is brake fluid and gear oil. Every part in the kit is a genuine ford part with ford part number. Everything fits great and very easy to install. Took me less then 3 hours from start to finish for the install. I dismantled all the brakes and had them powder coated white. But the black gloss they come with is very nice also. The front calipers and rotors are massive. And the rears are a huge difference as well. The stopping power has doubled! You won't be disappointed with this kit and AM has the best price around and fastest shipping! These brakes are not too hard to install until you get to the rear calipers . Brakes give you the confidence to stop when going at high speeds stopping is no problem. Great brakes for the price. You get the the front and rear calipers with everything needed to istall these. And also SIX PISTON enough said.